The centre of Edinburgh has a wide and varied group of Museums and galleries, there's something for everyone, many within easy walking distance of the centre of the city. Whether you are visiting for just a day or have a week to spend in the capital, there are museums and galleries to suit every mood. In the top 20 of the most visited museums and galleries in the world, Chambers Street Museum has an amazing collection of over 20,000 fascinating artifacts from all over the world. Recently redeveloped at a cost of £47 million, the National Museum hosts not only wonderful permanent collections but has a fabulous programme of visiting exhibitions. Conveniently located in the middle of Princes Street Gardens the National Portrait Gallery has a truly impressive range of artwork. Here you will find portraits of Bonnie Prince Charlie and also one of Flora Macdonald, Robert Burns painted by Nasmyth and Sir Walter Scott by Raeburn. 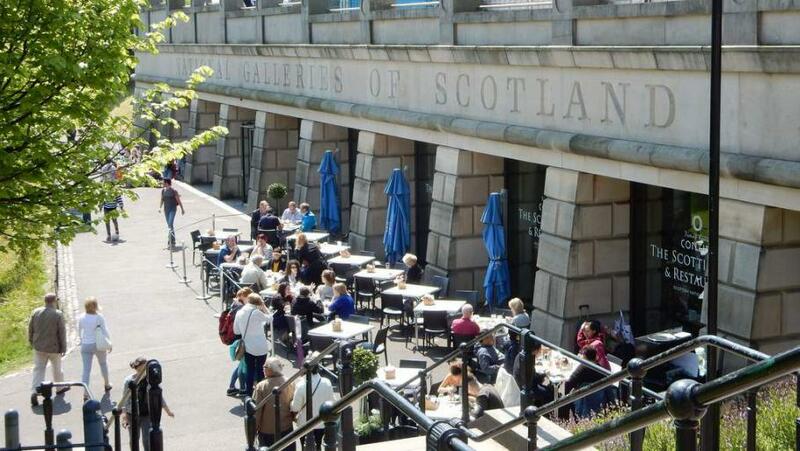 Look out for the collection of works by the Scottish Colourists. Housed in a wonderful neoclassical building designed by William Playfair, the National Gallery holds the national collection of fine art, both Scottish and international, from the beginning of the Renaissance up to the beginning of the 20th century. Here you will find important works by Cezanne, Raeburn, Van Dyck, Constable, Degas, Gainsborough, Gauguin and many more. The Queen's Gallery is located at the Palace of Holyroodhouse at the bottom of the Royal Mile and houses changing exhibitions of parts of the Royal Collection. Carefully selected themed exhibitions highlight works of significance from the Royal Collection. Check online for the current exhibitions during your visit to Edinburgh. Both of these museums are housed within Edinburgh Castle. The Royal Scot Regimental Museum tells the story of the Regiment chronologically from it's inception in 1633 by Sir John Hepburn to the present day. Medals, silver, drums and old colours are all displayed. The National War Museum tells the story of Scottish soldiers over the last 400 years. Not far from Waverley Station, the Museum of Childhood is on the Royal Mile. The collection has toys from the 18th century right up to modern day. From Meccano sets to tea sets, dolls to teddies, this is a trip down memory lane for every visitor. The story of child rearing from health care to education is also explored with school slates, books and clothing also on view. The Museum on the mound takes a fresh look at money! See Scotland's oldest banknote, try to crack open a safe. Look at art and design, technology, crime and security – all from the viewpoint of money. Based in Manse Road in Linlithgow, the Canal Museum is housed in the former canal stable and is the only canal museum in Scotland. With old photographs and documents describing the rise and decline of the Edinburgh and Glasgow Union Canal and showing tools and equipment from the working life of the canal this is a different sort of museum to visit. There are a variety of Boat Trips on the canal, cruise the Avon Aquaduct for 2.5 hours or a shorter trip through Linlithgow for about 25 minutes aboard the 40-seater canal boat St. Magdalane. Very occasionally trips to the Falkirk Wheel are also possible.